The North East XTerra Club will be hosting the 19th Annual East Coast Xterra Challenge! Whether you've been attending this event since its beginning, for a few years or you've never been before - this is an event you don't want to miss! From the trails, to the people, to the truck itself - ECXC has been a memorable event that many Xterra owners have continued to talk about over the last 18 years! In this thread, you'll find information on the event. Please keep checking back for updated information. If you have any questions, please post them here! Supporting Members of The North East Xterra Club (NEXTerra) used as "ECXC 2019 Staff". ECXC 2019 Sponsors; invited to attend as a guest of The North East Xterra Club (NEXTerra); no fee, one vehicle plus one associate with vehicle; must register and pay event fee. 4100 State Route 125, Coal Township, PA 17866 (click HERE for directions). Proof TBA. Please keep checking back! Please review the AOAA Trails FAQ Page. Please review The NEXTerra Tech Inspection Checklist HERE (opens as a PDF). Please review the “The NEXTerra Trail Etiquette Guide” HERE (opens as a PDF). Please review the “The NEXTerra Spotting Guide” HERE (opens as a PDF). There will be four (4) Levels of Trail Groups: Green, Blue Black and SAS. The ECXC19 Trail Group Discussion is HERE. When you arrive at AOAA Trails/Rausch Creek at 0800 you will be greeted by a NEXterra Representative who will direct you to the ECXC Staging Area. At the ECXC Staging Area you will be met by a NEXterra Trail Master who will assess your truck and trail preference, and then direct you to your Trail Group where you will line your truck up behind you group's Trail Leader. 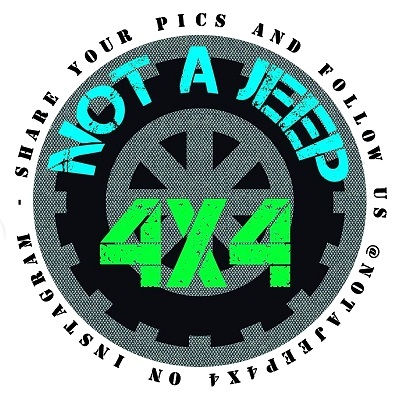 After your truck is in line, find the NEXterra banner, check in, hand in your filled out North East Xterra Club Waiver and Release of Liability, get your attendee packet, event shirt and sticker. After you check in go up to the Rausch Creek Off Road Park office, hand them the filled out Rausch Membership Application/Waiver and your Rausch Parental Waiver (if applicable) and pay the park fees (cost is posted above). Finally, go back to your truck and prepare it for wheeling, using The NEXTerra Tech Inspection Checklist (opens as a PDF) as your guide. A NEXterra Tech Crew roaming the Staging Area to assist you. If you need help or have a question ask your Trail Leader or find a NEXterra Representative and they will help or find you help. There will be a mandatory Drivers Meeting each morning at 0915. And then we hit the trails! *There will be no food or beverage provided so you will need to bring your own each day of wheeling. Most folks will be staying at the Twin Grove Campgrounds Wednesday thru Saturday night. You can also stay at the Comfort Inn in PineGrove INFO HERE. Please join me in thanking our supporting vendor! Make sure you click on their logo to visit their website! Make sure you click on their logo to visit their websites! Mike - you should come to ECXC...it’s an amazing experience. The ECXC event fee is $45 that you have to pay the club. AOAA for Thursday & Rausch Creek for Friday-Saturday have their own fee that you need to pay them directly for land use. Rausch has a yearly membership + daily wheeling fee. Dogs are allowed in all places from what I know, except at the Saturday dinner in the a/c lodge per campground rules. Yeah this is one I have been dying to go to , great about the dogs and I think I’m just gonna have to just sign up and start getting my crap together thanks Suresh ! Said something over on the TNX thread, but @MtDewMike, could you email me? 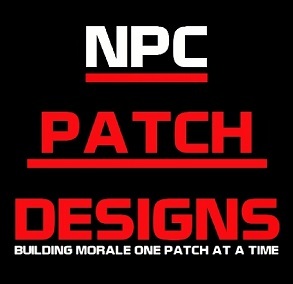 I would like to help sponsor the event with an NPC patch raffle package. Cheers! Yep! Tom told me about it. I'll send an official email tomorrow! Thank you! Thank you our supporting vendors !! Very nice thanks to supporting vendors!